Nite Owl Creates: Christmas Pinterest Party! 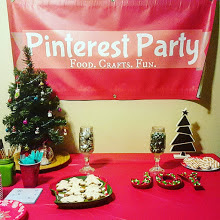 It's that time of year again...here we go with a Christmas theme Pinterest Party! 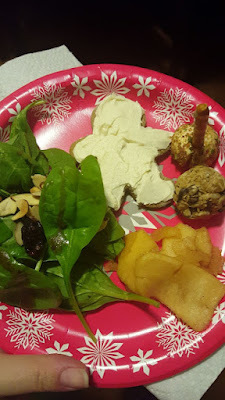 First we will start with the food. 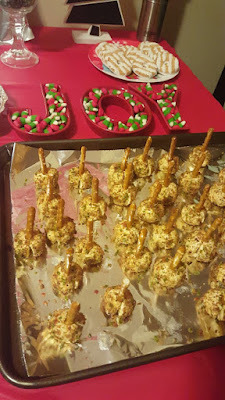 I got the cute J-O-Y letters at Michael's a couple years ago and it's fun to pull them out with a reason to use them. My friend Maggi made these yummy mini cheese balls with pretzel sticks! It was cool she brought these because I had thought about making a cheese ball. 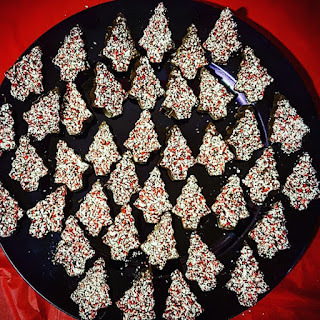 I have silicone Christmas tree molds and poured down a thin layer of crushed candy canes and then melted milk chocolate to pour on top (which really was the back). They turned out great and even though I was not very careful popping them out of the mold, none of them broke. Score! 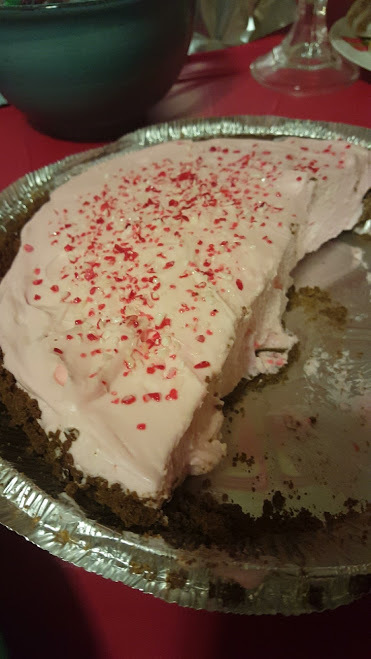 I made this yummy no bake peppermint cheesecake and it turned out delicious! My neighbor Peggy brought apples in a jar, they were warm and had the best flavor. 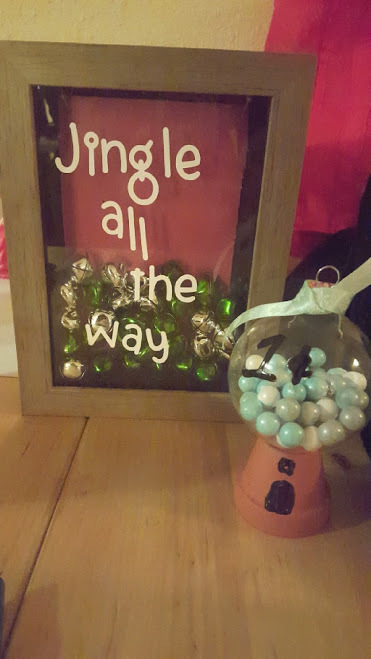 We made these fun shadow boxes with bells inside and "Jingle all the way" cut out with vinyl using my Cricut machine. 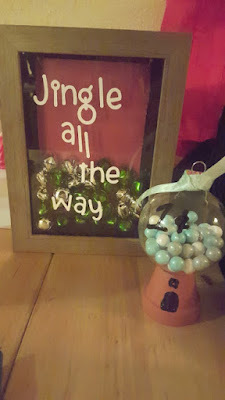 One other craft we did but I don't seem to have any pictures is that we took round pieces of wood and painted chalkboard paint on them to make ornaments. The idea was found here. The idea is similar but not exactly the same. Thanks to all who came and there will be a Valentine theme Pinterest party coming before you know it!